The clients wanted to create a Leigh-on-Sea family garden to appeal to their young children, as well as to increase their home’s overall look. Katrina went to visit their current Leigh-on-Sea family garden, and noticed they had a fairly large area on the right-hand side of the house that was crying out to be used. 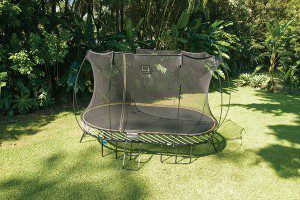 Both the children loved trampolining, but both parents hated the look of the round trampoline from the back of the house. Katrina pointed out that a square or oval trampoline would fit perfectly. They were also keen to grow some vegetables in their Leigh-on-Sea family garden. Katrina suggested bounding an area down to the right-hand side of the back garden with raised railway sleeper beds. Across the space, a gazebo could be erected to suspend a large swing seat, inviting them to sit outside for a few lazy hours in the sun. A large patio was proposed to span the width of the house. Katrina advised that they keep their grass as it covered most of the garden. Constructing a second patio towards the bottom left of the garden would allow for leisurely basking in the evening sunlight. A series of architectural archways would add structure and a certain classiness to the Leigh-on-Sea family garden. Directly from the patio, a pathway leads directly down the garden to the second patio. Flanked by planters, it creates a grand entrance to the rest of the garden, which is pleasing to the eye and gives the area a reassuring sense of direction. 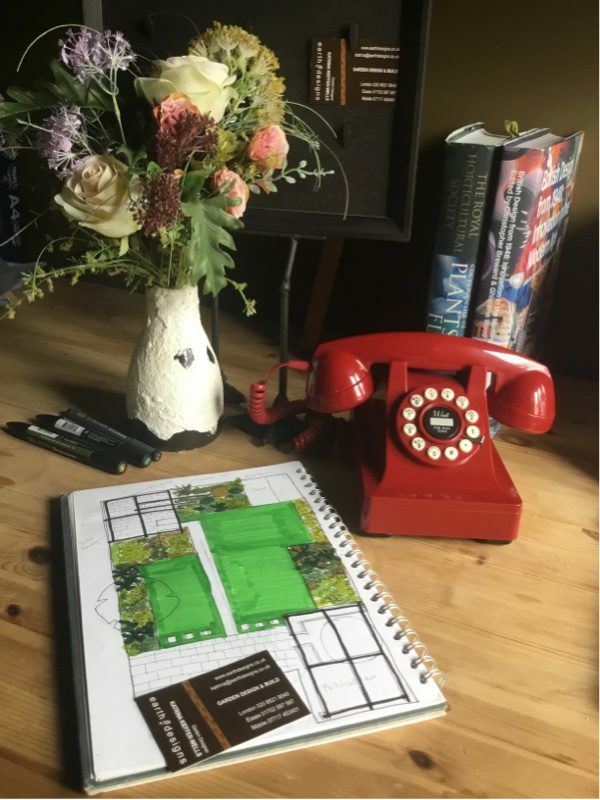 If you are looking for a Leigh-on-Sea landscaping company to come and revitalise your garden space, book your free garden design consultation today by contacting Katrina and Matt on 01702 597587 or email us at info@earthdesigns.co.uk.